High speed machining is becoming increasingly widespread in machine shops all over the world due to the proven benefits of greater efficiency and productivity through increased spindle speeds and metal removal rates. 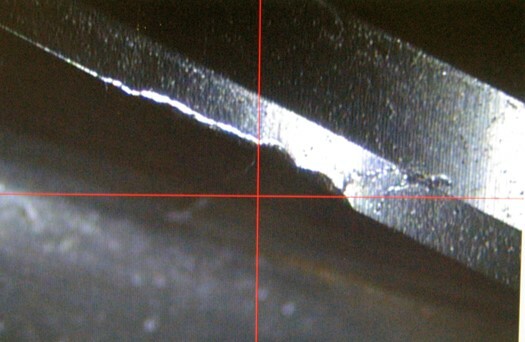 However, at such high spindle speeds, otherwise negligible errors and imperfections can cause negative effects such as reduced tool life, poor surface finish, and wear on the machine itself. Many of these negative effects stem from an increase in total centrifugal forces leading to vibration, commonly referred to in the industry as chatter. A key contributor to vibrations and one of the more controllable factors, is tool unbalance. 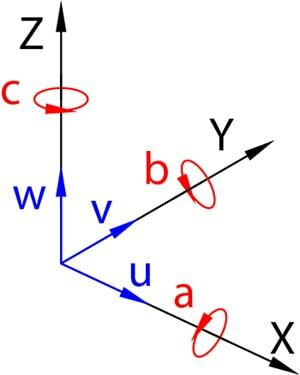 Unbalance is the extent to which the tool’s center of mass diverges from its axis of rotation. 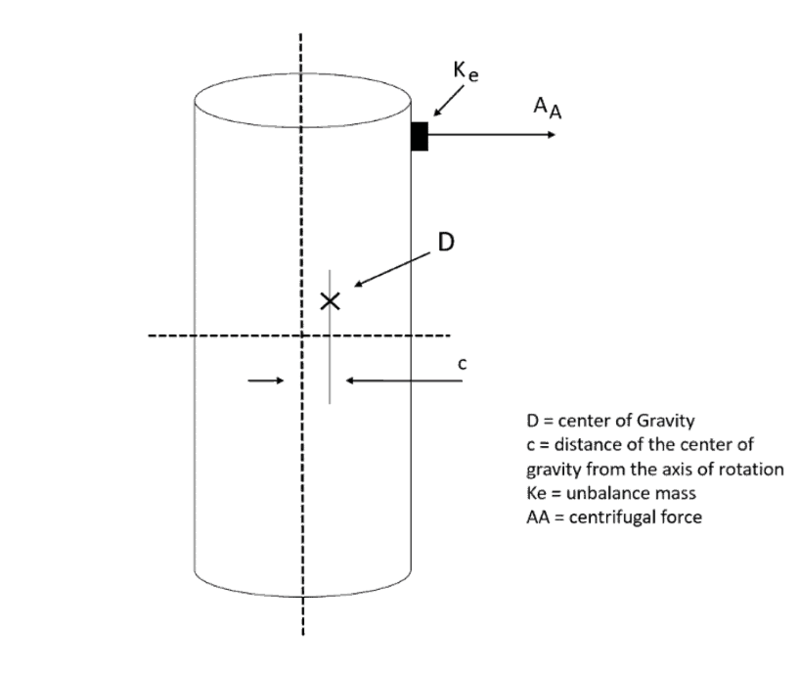 Small levels of unbalance may be indistinguishable at lower RPMs, but as centrifugal force increases, small variations in the tool’s center of mass can cause substantial detrimental effects on its performance. 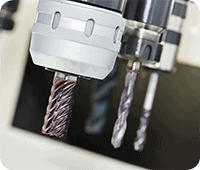 High Balance End Mills are often used to help solve the problem of vibrations at the increased spindle speeds. Balancing is used to make compensation for the intrinsic unsymmetrical distribution of mass, which is typically completed by removing mass of a calculated amount and orientation. 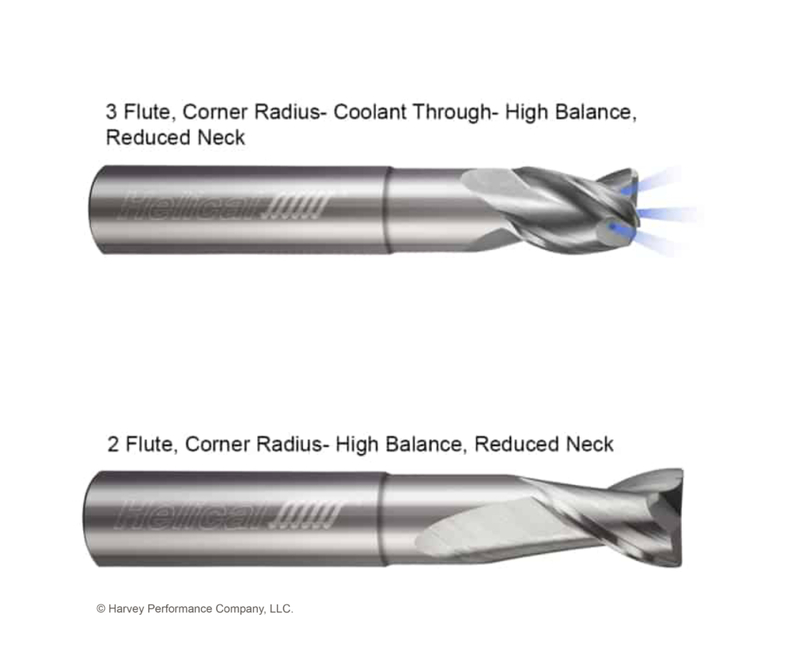 Helical Solutions offers High Balance End Mills in both 2 and 3 flute options (see Figure 2), square and corner radius, along with coolant-through on the 3 fluted tools. These end mills are balanced at the industry standard of G2.5 at 33,000 RPM: G stands for the potential damage due to unbalance, which can be expressed as “Balancing Quality Grade” or G and 2.5 is the vibration velocity in MM per second. These tools are designed specifically to increase performance in highly balanced machining centers that are capable of elevated RPMs and feed rates. With high balance tooling, improved surface finishes are also achieved due to reduced vibrations during the machining process. 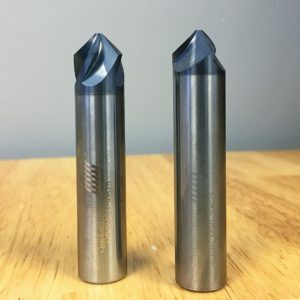 Additionally, these end mills have been designed around current high-end tool holding, and come in a variety of neck lengths at specific overall lengths. These dimensional combinations result in maximum rigidity and reduced excess stick out, allowing for optimal performance and the ability to push the tools to the limit. Vibrations are your applications worst enemy, especially at elevated RPMs and feed rates. 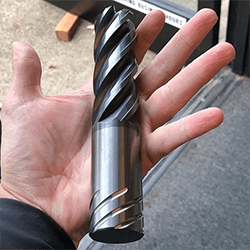 Using resources such as a Tap Tester can help decrease vibrations and allow you to get the most out of your High Balance End Mills by generating cutting performance predictions and chatter limits. Image Source: Manufacturing Automation Laboratories Inc. Tap Testing generates cutting performance predictions and chatter limits. In a tap test, the machine-tool structure is “excited,” or tested, by being hit with an impulse hammer. In milling, the machine-tool structure is usually flexible in all three directions: X, Y, and Z, but in milling applications where High Balance Tooling is used, the flexibility is commonly only considered in two planes – the X and Y directions. By hitting the X and Y directions with the impulse hammer, the impact will excite the structure over a certain frequency range that is dependent on the hammer’s size, the type of tool being used, and the structure itself. The frequencies generated from the initial hit will produce enough information that both the impact force measurement and the displacement/accelerometer measurement are available. Combining these two measurements will result in the Frequency Response Function, which is a plot of the dynamic stiffness of the structure in frequencies. 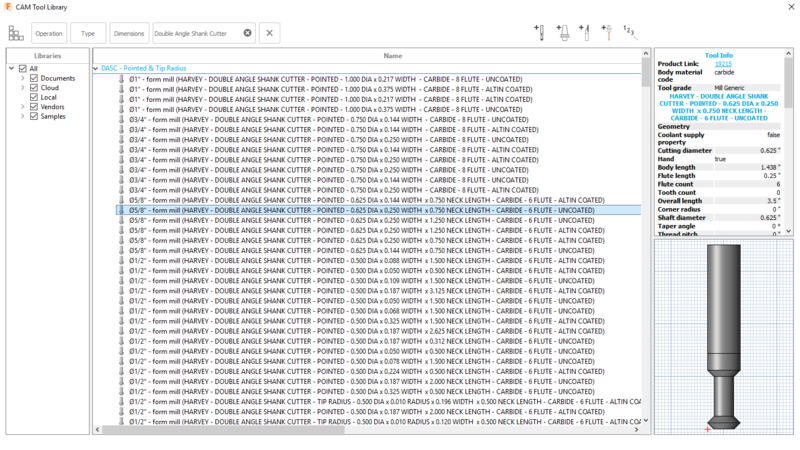 After the information from the Tap Test is gathered, it will then process the information into useful cutting parameters for all spindles speeds such as cut depths, speed rates, and feed rates. In knowing the optimum running parameters, vibrations can be minimized and the tool can be utilized to its full potential. Keeping vibrations at bay during the machining process is extremely important to machining success. Because one cause of vibration is tool unbalance, utilizing a balanced tool will result in a smoother job, a cleaner final product, and a longer life of both the tool and spindle. 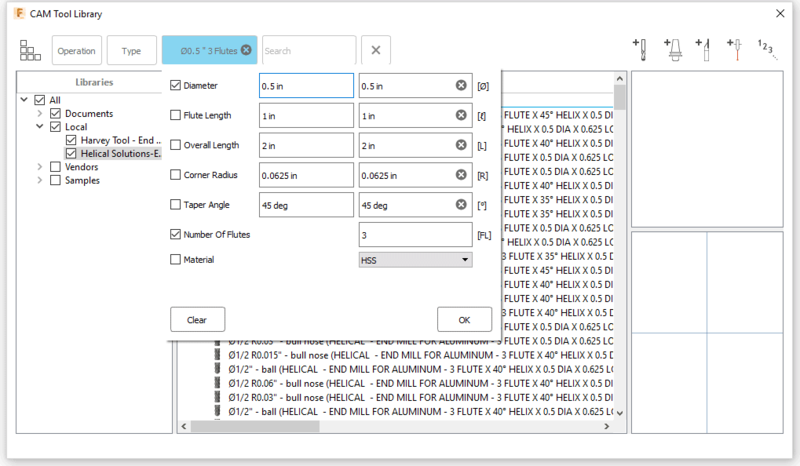 Machinists who choose to use High Balance Tooling can utilize a Tap Tester, or a method for generating the perfect running parameters for your tool and machine setup to ensure that machining vibration is as minimal as possible. 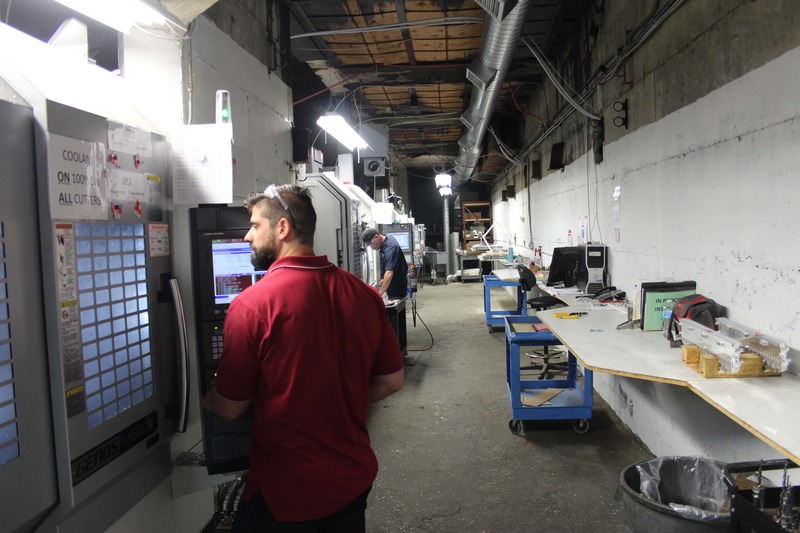 TL Technologies helps manufacturers reduce time to market and drive down per-piece cost with their unique “Intelligent Design and Planning” processes. Located in Lancaster, Pennsylvania, TL Technologies serves manufacturers throughout the mid-Atlantic from their centrally located, 10,000 sq. ft. facility. Their unique manufacturing processes and services quickly made them stand out in the industry since their inception in 2012. Jonathon Thompson is the Vice President of Engineering at TL Technologies. 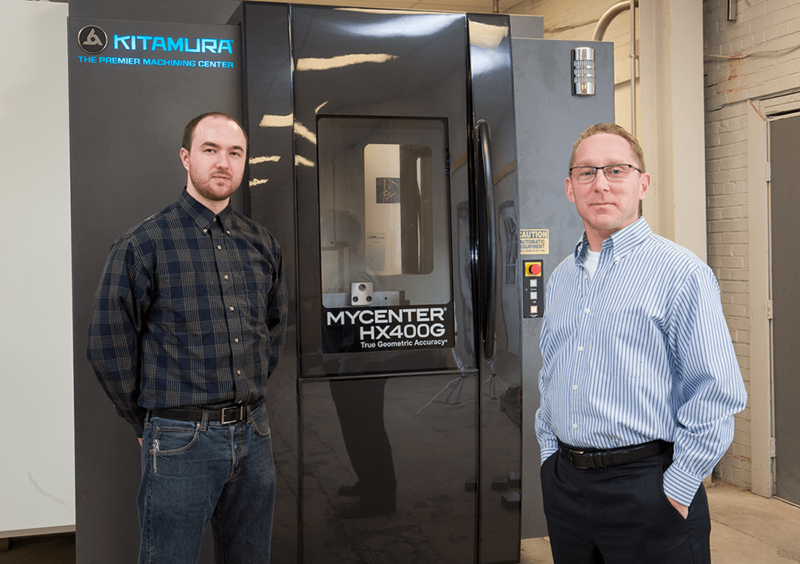 Jonathon talked with us about their rigorous manufacturing and inspection processes, the advantage of using high-quality tooling, their unique on-site assembly services, and much more in this Featured Customer interview. TL Technologies got started in January 2012. Our first customers were firearms and defense based. Since then we have diversified our business through growth within customers and word of mouth. We started with the intent to be precise and accurate in a lights-out or nearly automated fashion. We use an array of modern equipment. 4 axis Kitamura HX400G Horizontal Mills. Nakamura Tome 9 axis Turn Mill, Star 6 axis, and two 5 axis vertical Hurco Machines. 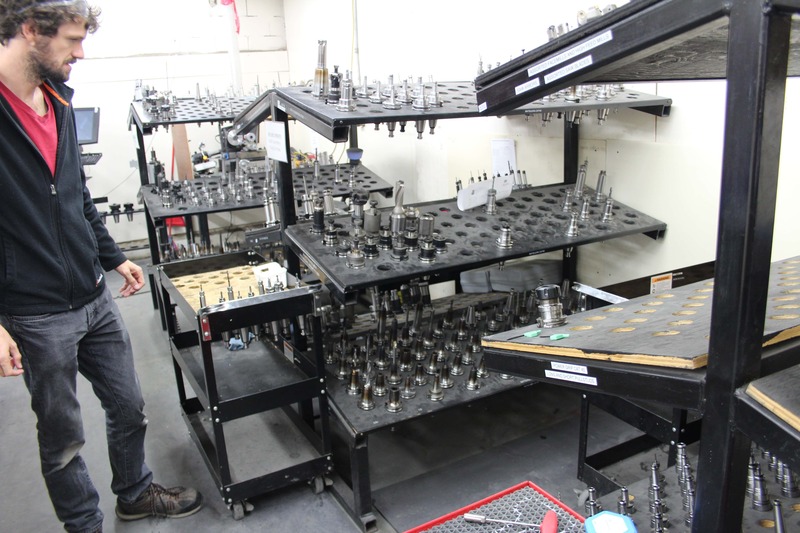 All our machines are optioned out with Renishaw probing and all the bells and whistles required to handle high accuracy runs for 24 hours a day with no process issues. 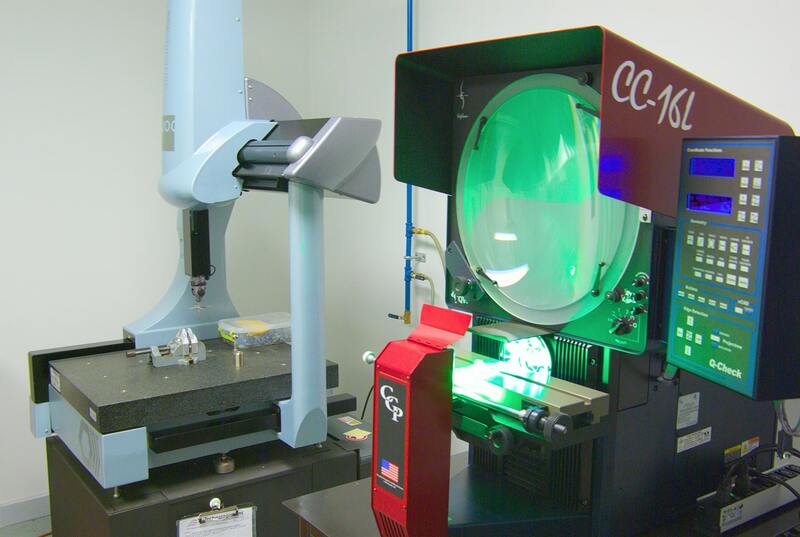 Most of the machines have glass scales and thermal packages. Which materials do you most often work with at your shop? Mostly steels; the usual 4000 and 8000 series steels. 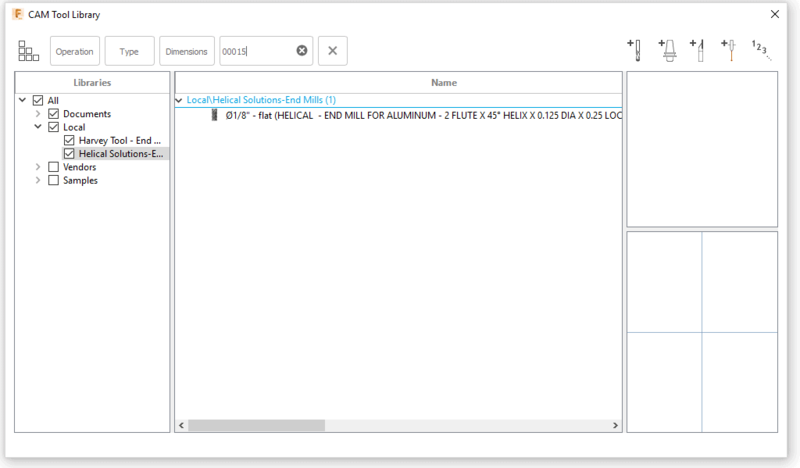 Comparatively less 6061 and 7075 aluminum and other common stainless grades. We’ve been fortunate to have many of our materials within a reasonable range of Rockwell so that we may tool accordingly for most of the business. How has your experience been with multi-axis machining? Fantastic. Multi axis Machining has been excellent for us. It requires high-level understanding to fully maximize but the benefits are huge. On your website, you mention that TL Technologies has never delivered a rejected part. What sets your quality apart from the competition? 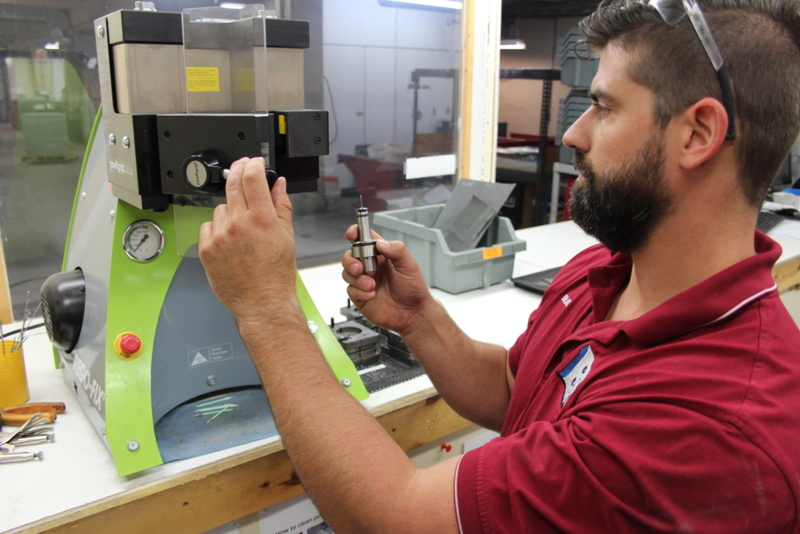 From day one and job one, we worked with the customer to understand exactly how they were measuring the parts, exactly with what tools, processes, and methods to identically duplicate the process in our shop. 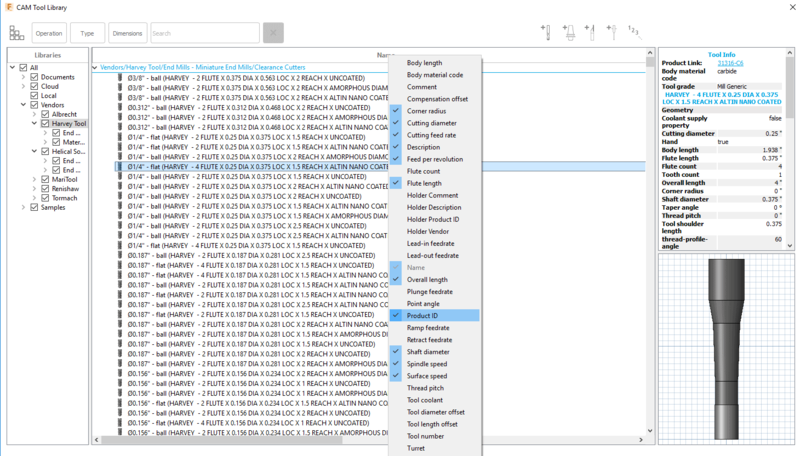 After replicating key processes we performed many correlation studies to ensure that our measurements were within single-digit microns of what our customers were seeing on their end during inspection. This methodology was scaled up into our overall quality program and allows us to greater understand and manufacture our goods. Our ISO process coupled with this method truly does prevent bad work from getting out. We have never had a case where a part did not function or perform due to our oversight or bad specs. There have been failures on the customer side of things due to engineering, bad prints, and tolerance stackups, but we have not supplied parts that were flat out incorrect. What sort of tolerances do you work in on a daily basis? Typically single or double-digit microns. .0002” to .003” total is common for a large percentage of specs. It is not unusual for +/-.0002” to run long-term over many fixture stations with no manual adjustment. Our machined products are from 1” to 8” cubed. What are some of the coolest projects you have had come through the shop? That’s a good question. TL Technologies sat on the United States Senate committee in 2013 for Small Business and Entrepreneurship. We were featured on the cover of New York Times business section in 2013 as well. Throughout our years we’ve been fortunate to meet many amazing people from high branches in the government, the US Military, top name manufacturers, lenders, and local municipalities. Some of the coolest contacts were folks that formerly operated with US Special Forces. Unfortunately, we cannot comment. As for projects not covered by an NDA, one of my personal favorites was producing low impact physical therapy products for rehabilitating shoulders after surgery. 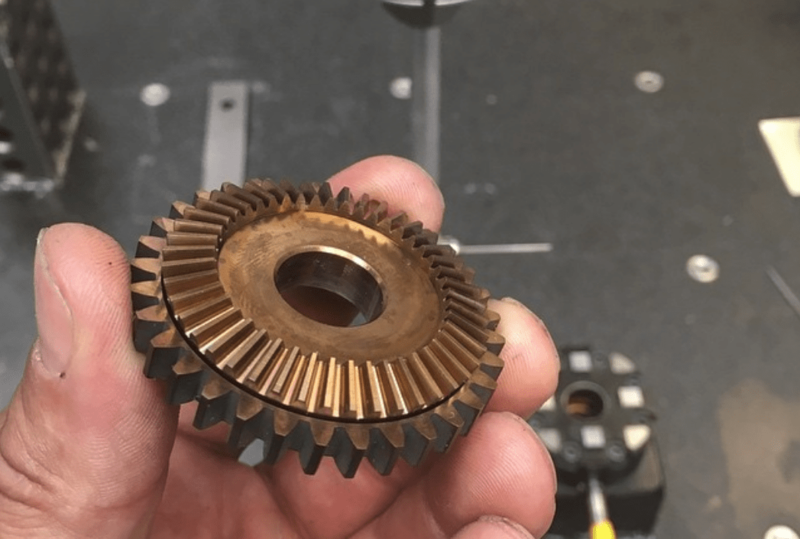 Though simple in manufacturing, this project provided an array of fun challenges that required high performance tooling, 3D printing, and using our machines with custom cycles. This allowed us to use the equipment very unconventionally. In this way, we were able to provide a cost-effective product utilizing the maximum ability of our equipment with a very short lead-time and low up-front cost. You also offer assembly services on-site, which is fairly unique in the industry. Can you talk a little bit more about this? Sure. Both my business partner and I have tremendous experience with assemblies in both hands-on and directorial roles. Whether it was a high precision multi-axis mechanism that ended up being a custom machine, on and off-road vehicles, or even things like child safety seats, we have had our hands in a lot of things over the years. 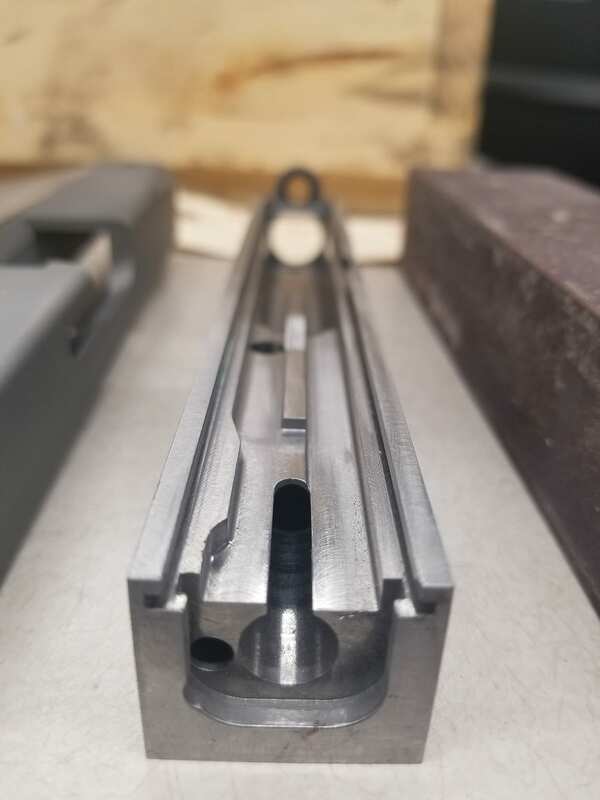 At TL Technologies we’ve provided assistance to machine tool builders, special tooling designers, consumer goods of various types, and most frequently to firearms builders. Mostly we drive out cost, but as we age we’ve been called upon to troubleshoot high-end assemblies where the issues were not immediately apparent. This led to us creating sub-assemblies and even semi-finished OEM products. This includes hand fitting and assembling collectible pistols and precision bolt action rifles. This is usually offered as a temporary solution or process engineering service to larger companies developing new goods or revamping existing ones, and is offered as part of our comprehensive knowledge to attract clients. It has been very successful. You service a variety of industries, including defense, automotive, agricultural equipment, and consumer products. Do you have a personal favorite? I’d have to say the products we make that almost every soldier carries and relies on are my favorite. 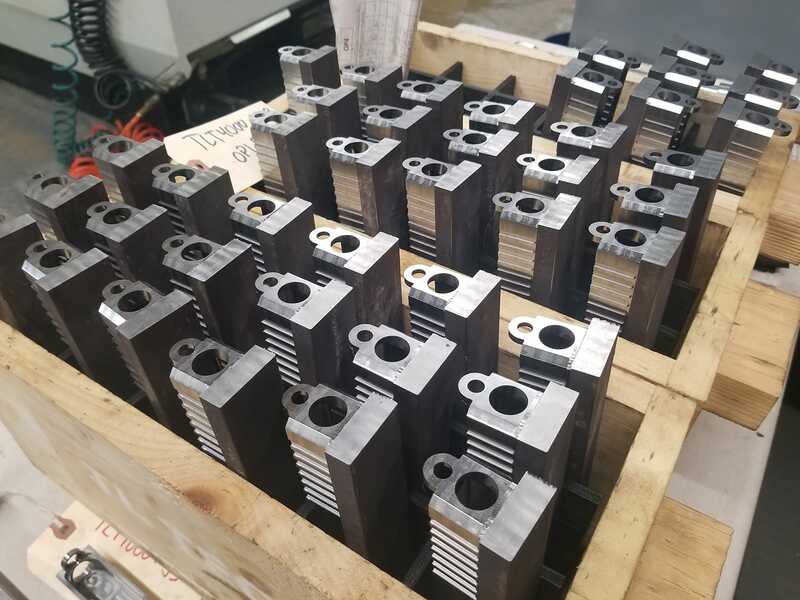 We take great pride in knowing that these parts have not failed due to machining error since we took over the production years ago on the core components. Why is American manufacturing important to you? It’s everything. It’s the heart and soul of all products and by extension facilitates the means with which goods and services exist in our society. By bolstering the skills, knowledge, and experience, we can not only succeed economically but also further the craft and pride of making quality goods. We will always need to be able to make our own goods. The skill and craft to create is more than just economic. We absolutely must embrace and respect the skill and hard work it takes to create. We must pass that knowledge on for posterity so the next generation might find the satisfaction and pride of skilled work. It’s everything. The old adage, “Garbage in, garbage out,” is accurate for us. We feel that if we invested so much in these high-end machining centers, it would be criminal to put insufficient tooling and holders into them. We found that by selecting the proper tool with the appropriate sciences behind it we have been able to create products with a cost per cut that is not only competitive, but required to stay current. By keeping the quality as high as possible on the part making side of things, we’ve insured as much ease and reliability into our downstream process as we could. Quality tooling also provides predictability and added safety into the workflow. 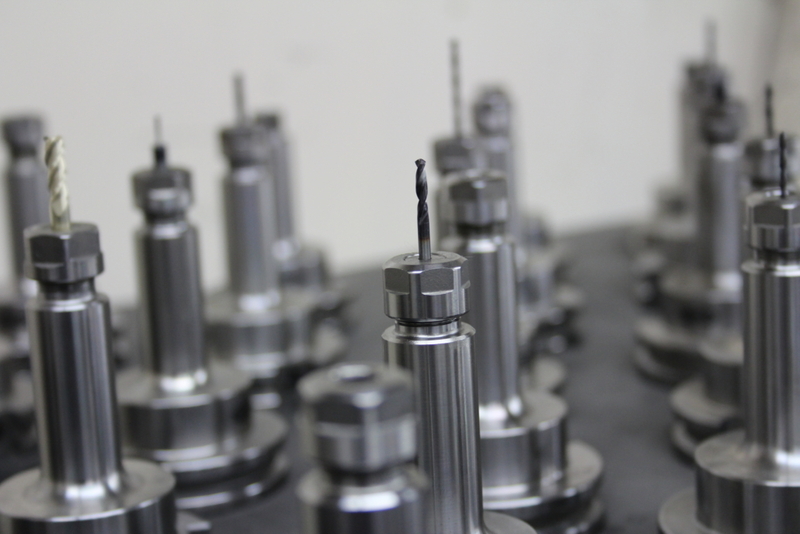 High-quality carbide tooling is the lifeblood of the business. 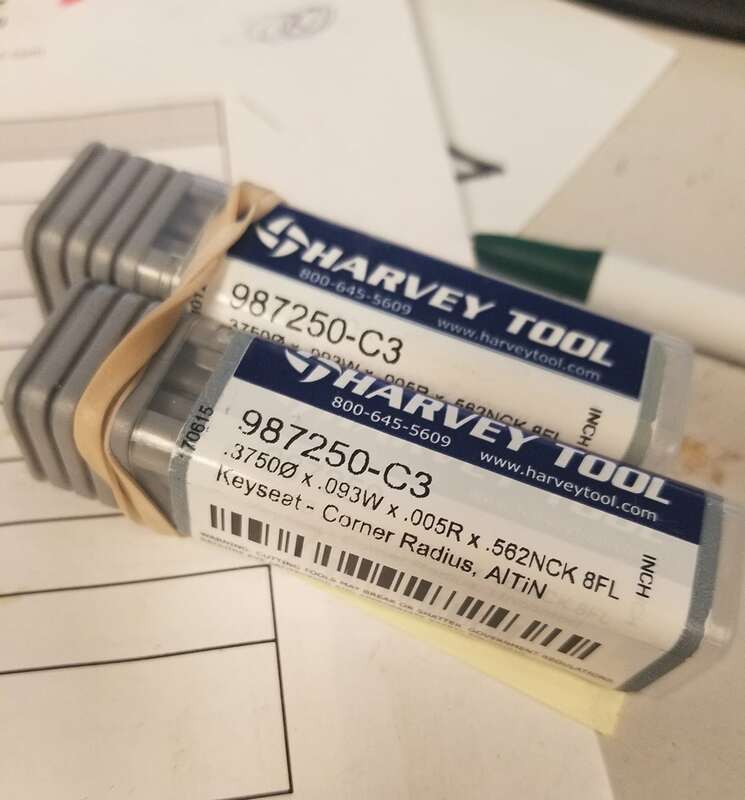 Have Harvey Tools had an impact on your performance? Oh man…frequently. Harvey Tools are a mainstay in our company. If I had to think of some key examples it would have to be your variety of Keyseat Cutters, 3 Flute Counterbores, Extended Reach Ball End Mills, and Miniature End Mills under .040”. 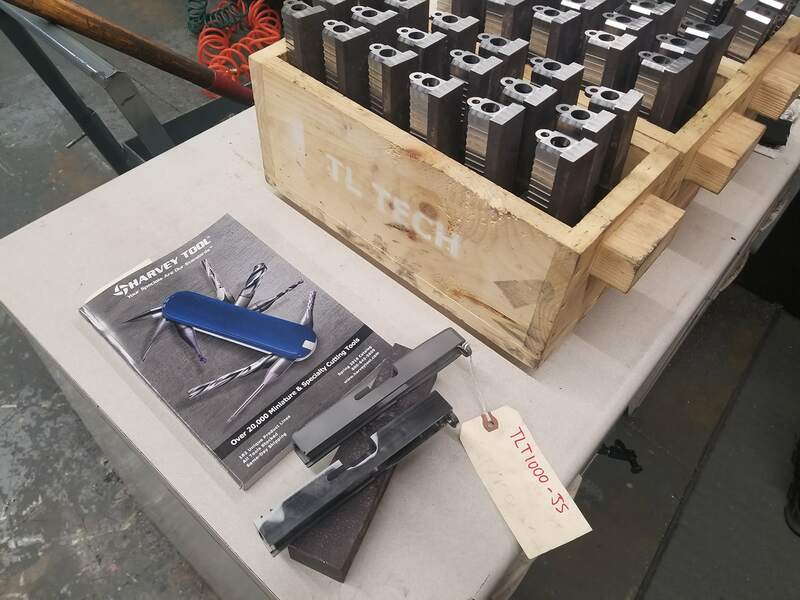 The 270 degree Lollipop Cutters are excellent for deburring, and we also rely on the 140° spot drills, corner radius forming tools, and more. 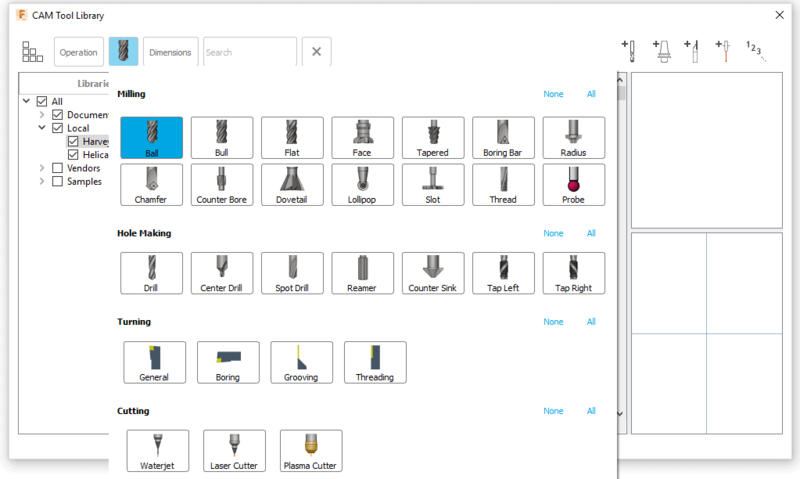 In short, not only are the tools good, but they provide exactly what we need and the specifications to handle major OEM jobs. We absolutely love metric and you’ve got that too. Your catalogs help us eliminate the need for customs. That is key to cost and lead time. Embrace the old knowledge and techniques. The manual skills learned with files and hand ground tools translate critically into the concepts you will need to master if CNC becomes your career. 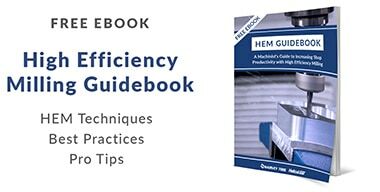 Understand how and why materials cut or refuse to cut, what rake angle to use and when, and how to leverage machine physics to help you work smarter instead of harder. Don’t be afraid to jump down the rabbit hole of engineering concepts, materials, physics, elementary chemistry; these all help give you an edge. Machining is done best with comprehensive knowledge of the machines and machining environment. You never stop learning. All that said, keep a fresh perspective. Old knowledge can be great, but operationally each business will likely have its own methods and flow. Try to understand there is more to the overall business picture than you can often see. Oh definitely! Buy our stuff!! Ha. We are a supplier of choice for OEM, and small batch bolt actions for rifles, pistol components, and pistol slides. We machine to spec and provide cost-competitive options as well as super-premium options. We are working now to release our own line of aftermarket products in 2018, so keep an eye out for those!